I’ve shared my thoughts on WordPress as an application framework, but I think that simply making a case for how the core application can be used for web applications isn’t enough to help others see that it’s a viable platform. Lately, I’ve had several conversations with others who are skeptical (and rightly so). Themes are often viewed as “skins” for WordPress and plugins are often viewed as little ways to add new features to a blog. If anything, I’d say that one could make a stronger case for plugins being software rather than themes. But to a point, I disagree. There are several reasons why I think both WordPress themes and plugins are software. The truth is, I’ve not always considered work done on WordPress to be any type of software (and my partners can validate this! ), but the more work I’ve done with the application and the more serious I’ve taken said projects, the more similarities I’ve noticed so much so that I believe it’s boiled down to nothing more than semantics. A static site doesn’t send information to or from the server. 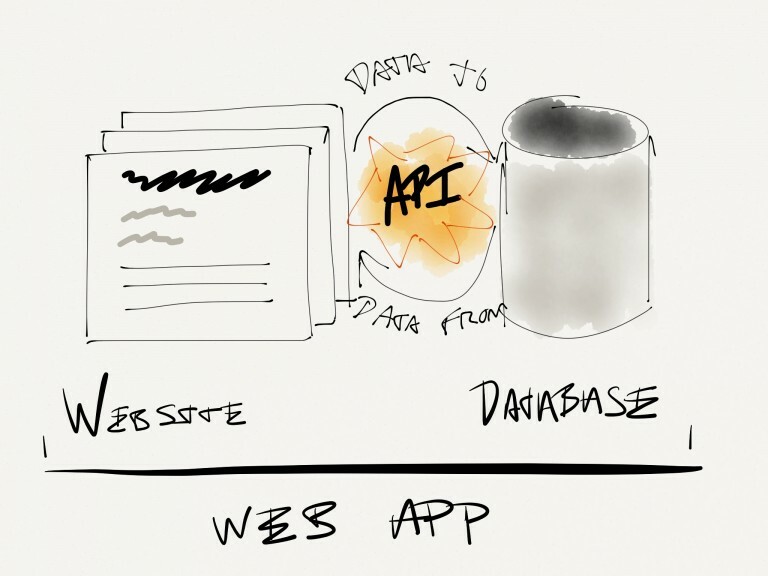 A web application interacts with the server side through a set of API’s or framework. 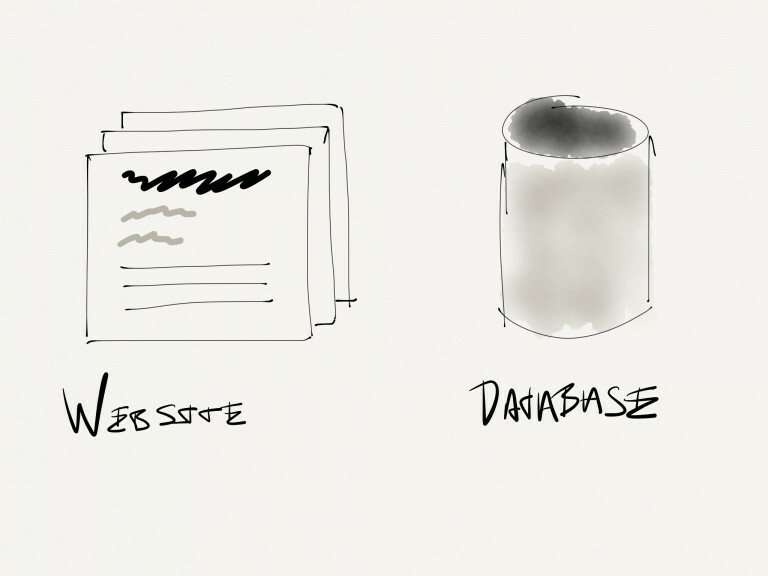 Distinguishable layers: Presentation, Application, and Data. There are often sublayers within each of these. 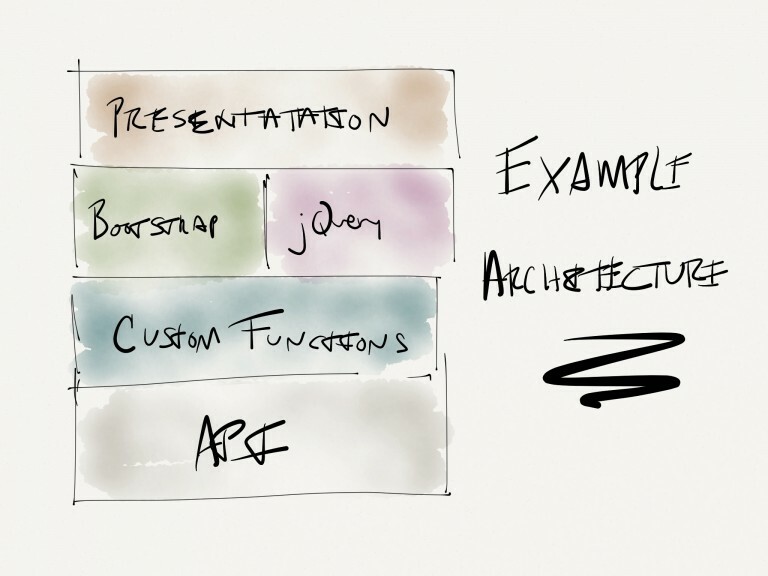 A core framework, library, or language with a set of API’s that provide scaffolding for development. Additionally, each layer can have it’s own framework, too. Case in point, the presentation layer could using something like Bootstrap or Foundation whereas the middle layer could use CakePHP or, you know, WordPress. There may also be some type of middle-ware for interfacing with the database. So what makes a developer? How far (or how often) do you have to run before you’re a runner? How often do you have to blog before you’re a blogger? If you speak in front of 10 people are you a speaker or does an audience have to be larger? The point is that I’m not as forgiving – just because you write a bit of a code doesn’t make you a professional developer. There’s a certain level of experience or understanding that I’d expect out of a person who claims to be such. Granted, none of us start here but our career gets us there. I’d venture to say that this, coupled with the aforementioned points, is what constitutes a developer. That said, I’ve yet to really address the case of why themes and plugins can both be viewed as software. Thousands of themes can be reduced to nothing more than elaborate sites. That is, they consist of nothing more than templates with stylesheets. But this isn’t all encompassing. That is to say that although this is true for many, many themes, it’s not the case for all of them. I’ve met some incredibly talented people via Twitter who are doing amazing things using WordPress plugins or who have built some fantastic features into their themes that definitely push them over the edge as simple extensions or site templates. Coding Standards. Defined by WordPress, employed by you and your team (or not). Unit Testing. Available, but not always employed. Code Reviews. Subject to the team building the WordPress-based product. Design Patterns. WordPress itself employes several which is why we can take advantage of actions and filters. Set of API’s. Defined by WordPress, used by developers (or not). But I’d love your thoughts, too. I know that many still view WordPress as a blogging platform or a CMS, at best and don’t consider it a true application development framework like some of the other tools that are available. So where do you stand: Are themes and plugins software or not? I totally disagree! A WordPress theme is merely a skin. A look and feel. A template for a website. Stop trying to pretend it’s complicated in order to justify your hourly bill rate. DAMN STRAIGHT! Cowboy up people! Learn your craft and code well. Not all code is poetry, but yours can be. I do not think that sites are software – rather, the engine that powers the sites is software. Static sites are, well, just that – static – and therefore do not contain software. As for themes and plugins: yes, they are software. Some cases are rather pitiful software, but software nevertheless. I agree, but I’m curious: At what point do static sties become software? Genuinely interested in your take on this.